The Superboy fans can celebrate the return of Conner Kent to DC's Rebirth universe... just not the version they expected. It's not exactly the return that they were hoping for, either, since the re-emergence of Conner into the current DCU is still separated from the main timeline by decades. The version of Conner restored - older, and bearing the suit and title of Superman in his 'father' Clark's absence - actually dates back to before the DC Rebirth. But it's not a future that any hero or fan would like to see happen. Changing the past, present, and future of the DC Comics Universe is never simple, and understanding it can be just as messy. The one thing that fans of Conner Kent's Superboy need to know is that his return is a first step. Whether that's a first step to giving Conner a new, controversial role in the Rebirth continuity, or restoring the original, "true" version remains to be seen. 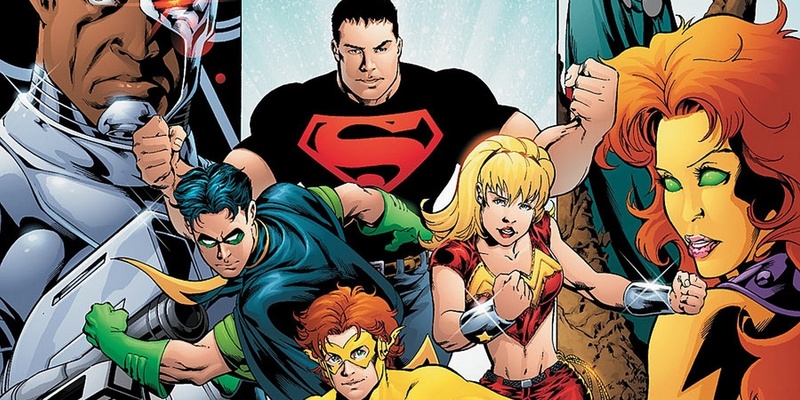 But in the troubled future of the former Teen Titans... Superboy isn't alone, either. First, we'll cover the actual reveal for those keeping up with most Rebirth titles. It comes in the same story currently making Tim Drake of the future into 'Savior,' a man on a mission to kill Superboy, Superman's biological son to save the world (from becoming his own future). That's close enough to a classic Terminator premise for most sci-fi fans to grasp, but Tim runs into some obstacles. Mainly that a) time itself is trying to pull him back to his own future, and b) his future teammates are trying to find him to do the same. The bombshell was dropped on the final page of Super Sons #11, when the trio of adult heroes were revealed to be on Tim's time-traveling trail. It's Teen Titans #15 that confirms these are the 'Titans of Tomorrow' that previously appeared in DC's pre-New 52 continuity. A more violent, more extreme version of the aged-up Young Justice BFFs. But this time around, Tim is no longer a part of the team for the same reason he's out to kill the new DCU's Superboy. Mainly... Superboy got a lot of people killed in his timeline. What makes the reveal so important is that the current DC Universe has no version of these heroes. And even in the New 52 reboot, they were fundamentally different characters. So now that the future of Cassie, Conner, and Bart remains intact in some alternate world... has the time come to return them to DC's main universe? The return of Superman's pre-New 52 origin teased Superboy by keeping him out of the story (and having Superman sense that something was still "missing"). This Titans of Tomorrow return, then, is anything but coincidence. We can't answer the question of Conner's return (or Bart's, or Cassie's) just yet, but the most important thing to remember is that judging by this story... DC wants fans asking that very question. Teen Titans #15 is available now.